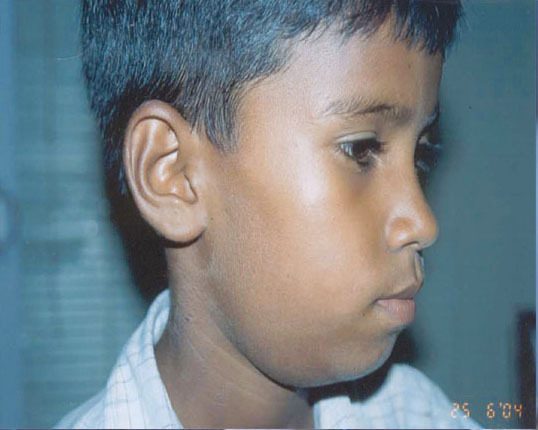 A nine-year-old male child was brought to my clinic for large, painless, cystic, nodular and hard growth in right sub – mandibular region with mild to moderate pyrexia since 4 months. Patient was given allopathic treatment but no reduction in the size of the growth was achieved. Family history was unremarkable. Although fine needle aspiration cytology (FNAC) dated November 20, 2003 from the growth in right sub – mandibular region was suggestive of “Haematoma cause? 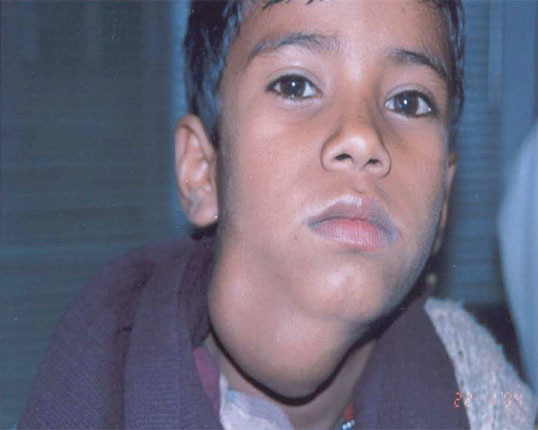 Traumatic” but no history of trauma was reported by the patient, hence possibility of Cervical Lymphadenopathy or Cystic Hygroma was thought of as differential diagnosis. The case was repertorised and the symptoms considered for repertorisation were desire for company, tendency to anger and irritability, mild gentle and yielding disposition, introvert, obstinate, carelessness, restlessness, nervousness, active memory and desire for sweet things. Lycopodium was selected among the various drugs of choice. · Lycopodium 1000 single dose was prescribed followed by Placebo for four weeks. · No change in the growth of right sub – mandibular region was noted. · Lycopodium 1000 single dose was repeated followed by Placebo for four weeks. Reduction in the growth of right sub – mandibular region was noted. Only Placebo was repeated for two weeks. Further reduction in the growth of right sub – mandibular region was noted. Growth in right sub – mandibular region much reducedOnly Placebo was repeated for six weeks. Further considerable reduction in the size of the growth of right sub – mandibular region was observed. Placebo was again repeated for four weeks. Growth in right sub – mandibular region reduced to a great extent. Placebo was again repeated for two weeks. Treatment of the patient is still continued. He was advised to report for follow up after two weeks.